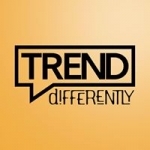 Trend Differently is a young company of professional, creative and passionate people, who come together to help your business Trend. We specialise marketing for both online and offline use; we love creating quality, engaging content we use our skills in web design, photography, videography and graphic design to help you Trend. No matter how big or small your project is we have you covered, we can take care of all aspects of your marketing including photography, videography, graphic design, copyright, web design, app building, audio recording and much more. Our mission is to be a one-stop creative solution for all your marketing needs. For more info on the services, we provide, please get in touch.